The exam is taking place in 04 Shifts i.e 9:00 AM – 10:00 AM, 11:30 – 12:30, 2:00 – 3:00 PM and 4:30 – 5:30 PM. 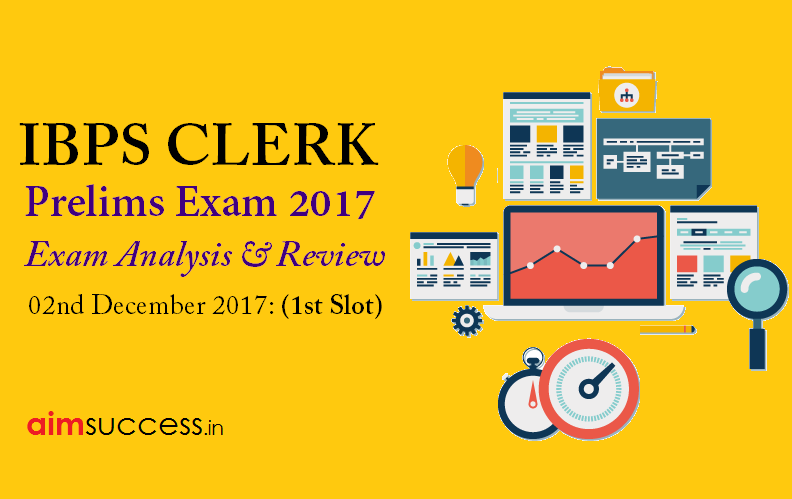 The first slot of IBPS Clerk exam is over now. Lets have a look on the detailed review given below. The Question paper is of 100 Marks and time allotted for the exam is 01 hour. Negative marking of 0.25 marks is applied on each wrong answer. The Level of this Shift’s Examination was Moderate. The preliminary exam for IBPS Clerk was conducted online and had 100 questions for 60 minutes. Candidates have to manage those 60 minutes themselves while dealing with three sections- Reasoning Ability (35 Ques), Numerical Ability (35 Ques), and English Language (30 Ques). The level of English Language was Moderate-Difficult. The topic of Reading Comprehension was based on " the impact of pollution in the ocean and on the aquatic animals." There were no questions related to the vocabulary with Reading Comprehension. The Error Detection Questions were of a new pattern where candidates were asked to find the part in the sentence that does not have any error. There were questions of (single) Fill in the blank where two words would fit one blank and candidate had to choose among given set of words and identify the two words that would fill in the blank appropriately. The level of Numerical Ability section was Easy-Moderate. If you remember any question from the exam, do share it in the comments section. 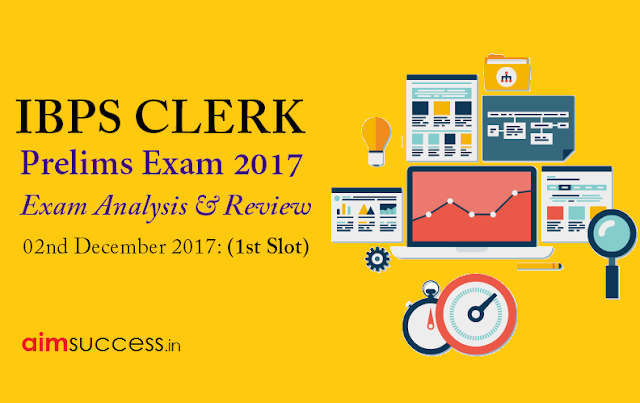 Note: Only recommendation for aspirants who are yet to attempt IBPS CLERK 2017 Exam in the upcoming days/shifts would be – “AVOID NEGATIVE MARKING”.